Here at Disconnected Press, we’re generally happy, busy people. But every so often, things make us angry. And when we get angry, we do what every self-respecting person does: we make comics. Welcome to our latest venture: CROSS. 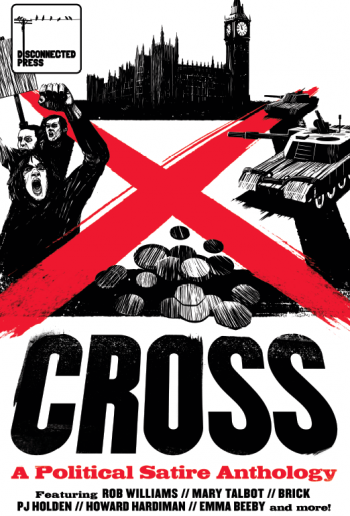 CROSS is a comic anthology of political satire, a 64 page sideswipe at the establishment, brought to you by some of the finest established and emerging creators on the UK comics scene, including Rob Williams, Mary Talbot, Emma Beeby, PJ Holden, David Baillie, BRICK and David Ziggy Greene. Buy now, or read more and see preview images at www.disconnectedpress.co.uk/cross.